Actually all animals including humans need salt and cannot live without it. 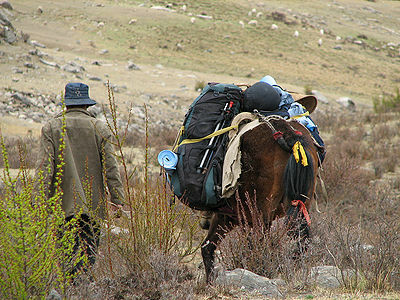 In nature salt and minerals can be found together, but today we have to provide our horses with salt. This salt has been changed somewhat from it’s natural form. The salt blocks in a stall or paddock were originally invented for cattle with their rough tongues. Horses’ tongues are smooth so they have difficulty licking the blocks and may not get enough salt. 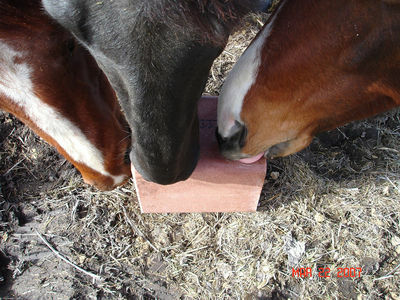 Using their teeth to bite or scrape a salt block is a good indication that they are having difficult getting the proper amount. 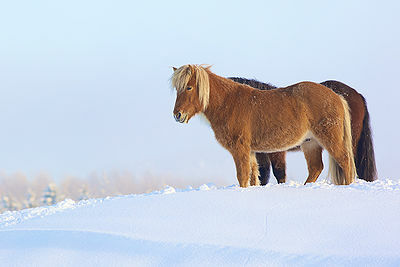 Horses need salt for cell function and electrolyte system balance. You can easily help your horse regulate his body by providing a Natural Trace Mineral salt that is loose. Place about 4-6 ounces in a strong container, bolting it to the wall of horses stall and/or a convenient place in the paddock. 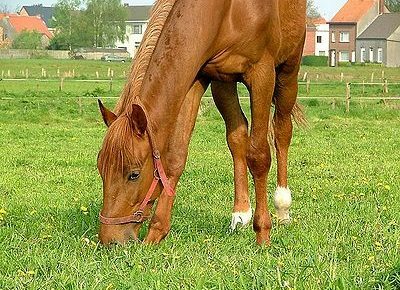 Your horse will eat the amount he needs and all you have to do is refill it when necessary. Here are some don’ts: Don’t use table salt, it contain silica for easy pouring, not good for anyone. Don’t pour salt into feed as you won’t know the amount your horse is eating and he may not get what he needs. Don’t use white bleached salt. Your horse is the best judge of the amount of salt he needs. If you can’t find loose natural salt in your health food or feed store, check online for sources.